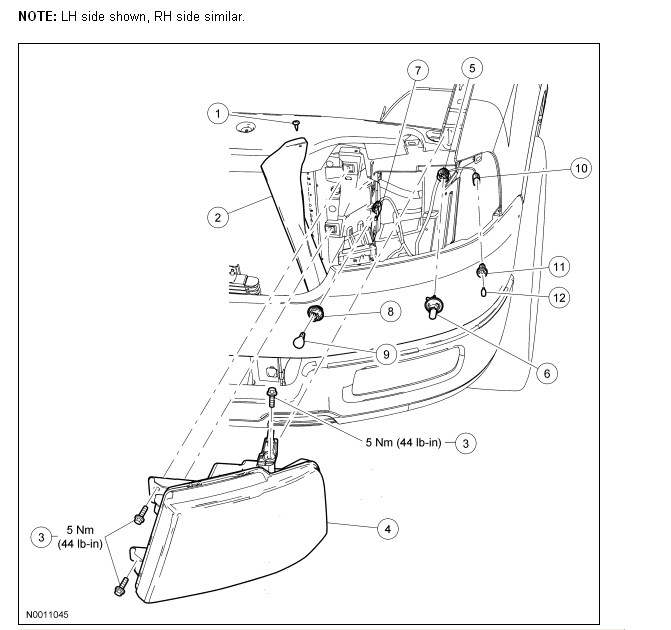 HowToRepairGuide.com: how to replace headlight bulb on 2005 ford f-150 ? how to replace headlight bulb on 2005 ford f-150 ? Remove the radiator side air deflector. Remove the 3 headlamp bolts. To install, tighten to 5 Nm (44 lb-in). Disconnect the 3 electrical connectors. Lift up on the retaining tab and pull the headlamp assembly straight out to prevent damage to the retainer and the locator pin.